Light and flexible the Rubberised Gel Foam with Holes is one of the softest and most comfortable anti-fatigue mats available. With a superior cushioning effect this mat is ideal for standing on for extended periods of time. This mat along with its brother #460 Solid Rubberised Gel Foam, is flexible easy to lift, move around and store. 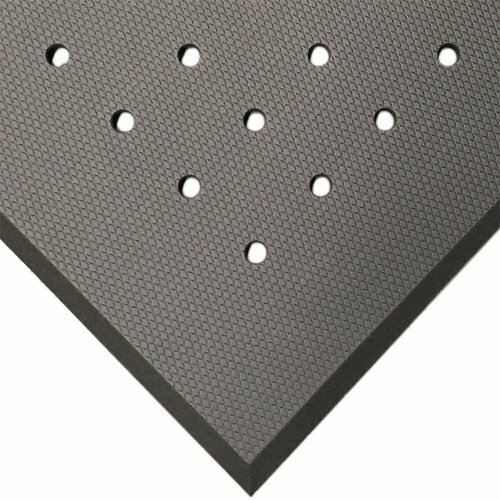 Due to its closed cell construction, holes throughout the mat and antibacterial additive this mat is suitable for any wet or dry areas you can think of. 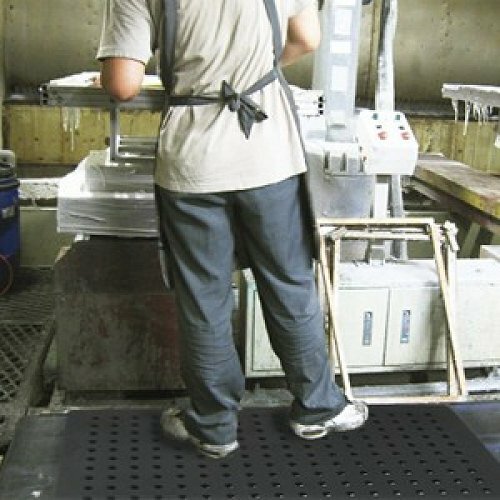 The mats embossed surface increases the anti-slip properties. Most customers agree – It feels like you are standing on a cloud! For use in Dry and sometimes wet areas.